There are plenty of gorgeous holiday destinations around the world, but there's nothing quite like the stress-free laid back atmosphere of reclining on a warm beach surrounded by turquoise water and lush tropical greenery. The islands in the South Pacific Ocean are among the most picturesque in the world, and though there are literally thousands of them, here are just five islands that represent a slice of South Pacific paradise. Though its population is well under 20,000, Rarotonga is the most populous island in the Cook Islands archipelago. White sandy beaches and beautiful lagoons surround much of the island and contribute to its fame as a beach lover's paradise. Formed by a volcano, like nearly all of the islands in the South Pacific, Rarotonga is made up of jagged mountain peaks covered in green forest. There are a number of hiking opportunities including one route that crosses the island while offering stunning views of the beaches and waters below. Fiji has long been at the forefront of South Pacific island tourism. The tiny set of islands referred to as the Yasawa Group is not as famous as Viti Levu, Nadi, or Denarau, but it's the peace and lack of development that make the islands so appealing. With a teeming reef life, snorkeling and diving are two of the most sought after activities in the waters of the Yasawas. Catching a glimpse of the graceful (yet dangerous) manta rays swimming between rock passageways is a highlight. Since the islands are quite small and positioned close together, the terrain makes for nice little hikes that reveal amazing views of the surrounding hilly islands. Don't miss an early morning hike to the top of one of the peaks to admire a breathtaking sunrise. The sweet sound of Bora Bora to many is a synonym of paradise, an island of jaw dropping beauty. Lazily swinging in a comfy hammock suspended over crystal clear water while being shaded by a luxurious grass thatch bungalow is what the island is renowned for. 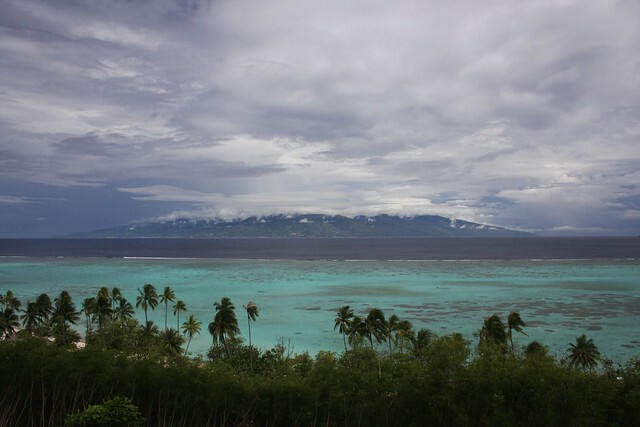 The jungle covered Mount Otemanu provides a gorgeous backdrop to the sandy beaches on the island. Bora Bora is entirely dependent upon tourism, and though it's far from a budget destination, the scenery really is as good as it looks in the photos. Like with many of the paradise islands in the South Pacific, it can be convenient to have a tour company like Escape Travel put together an all inclusive holiday package. 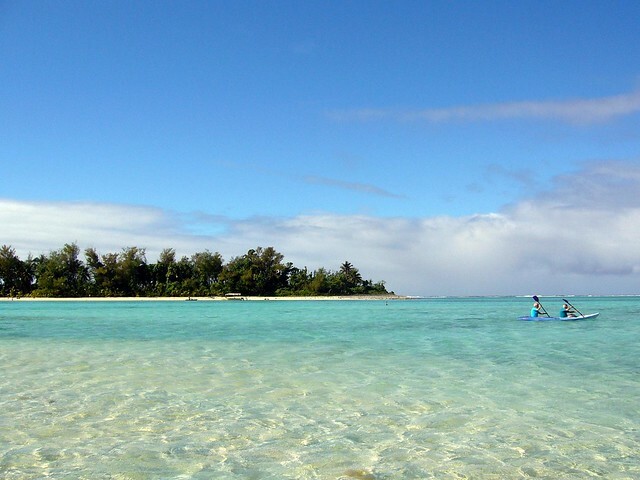 Accessible from Tahiti is the quiet heart-shaped island known as Mo'orea. Snorkeling, diving, hiking and horseback riding are just a few of the adventurous things to do on a visit. Passing the day by bathing in the turquoise waters and lazying under the swaying palms is another fantastic option. By South Pacific island standards, Mo'orea is less of a luxury resort filled island and more of lesser expensive way to have an island experience. There are even a number of spots to pitch a tent and camp right on the beach. 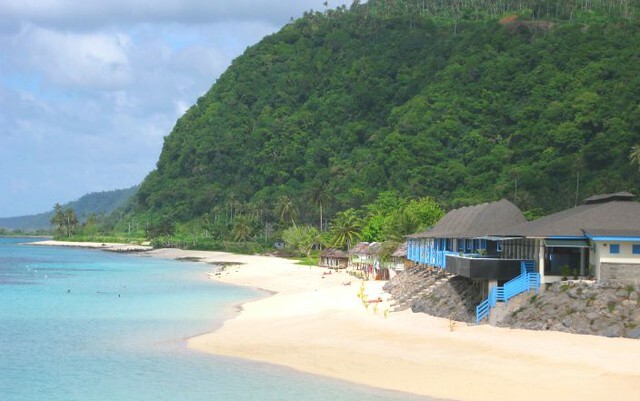 The island of Upolu, located in Samoa, is the most populous island in the nation and includes the capital city of Apia. Along with plenty of swimming beaches surrounding the island, Upolu is also famous for surfing and fishing. On land, Upolu has set aside a number of national parks to preserve its diverse ecosystem. From trekking through thick jungle to gazing at plunging waterfalls, there's always something fun to explore on the island. 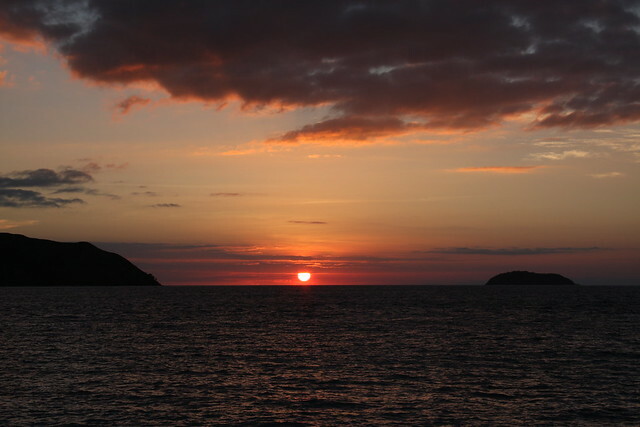 The easy going lifestyle and the mind blowing scenery is what makes the islands of the South Pacific Ocean so magical. Whether you use your physical energy to surf, dive or snorkel, or if you just sip cocktails from a horizontal position, you'll experience the beauty of the South Pacific! This post was written by Mark, and brought to you by Escape Travel. Have recently been to Fiji, and the coral reefs are amazing. You definitely have to do scuba diving when you go to this place. Cool, thanks for sharing that Marco! Bora Bora and Samoa looks awesome. Thanks Mark for sharing for letting us know about these beautiful places. No problem, glad you enjoyed it Meera. Wow! The photos are really beautiful! It’s look like Playa del Carmen. Thanks for reading this article Sandy! I’d love to visit Playa del Carmen one day. Looking at those beautiful pictures has really given me the travel bug again! I’ve always wanted to visit Samoa. Maybe nest year:) Thank you for posting this, its got me motivated again! Great to hear that Kelly, hope you can visit Samoa next year!